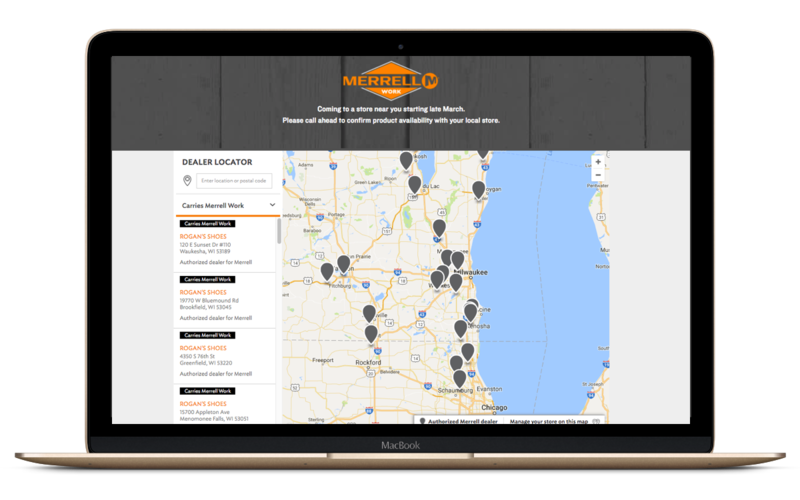 Your Store Locator is typically the primary tool a brand uses to guide a visitor who wants to purchase your products in a store, and it’s often one of the most popular pages on a brand’s site. But they’re usually plagued by inaccurate store data, leaking sales through a blunt referral process, and, in general, not keeping up with the sophisticated online shopping experiences shoppers have grown accustomed to. 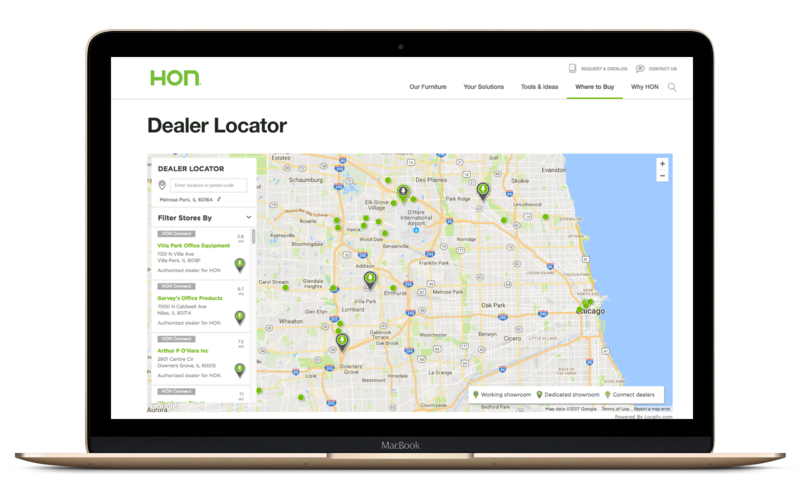 Our Store Locator is an immersive shopping tool that can be actively harnessed by brands and retailers to drive sell-through, strengthen dealer relationships, and cement brand loyalty with shoppers. 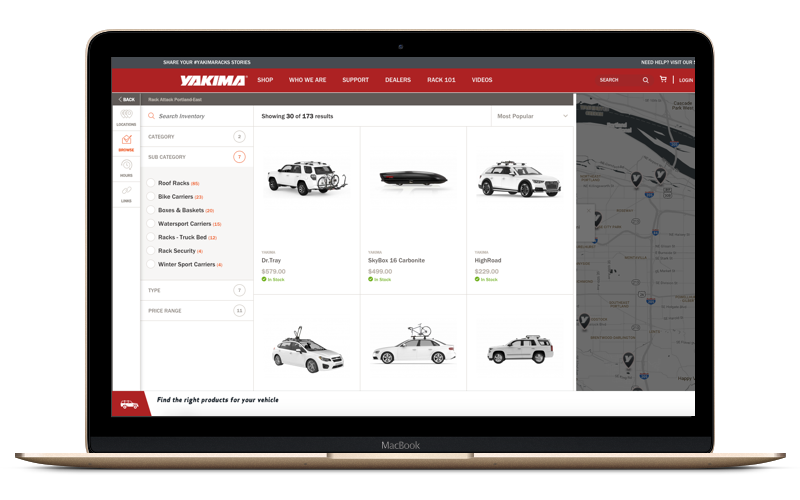 Drastically cut down the time your team spends managing store data with Open StoreFront, our comprehensive multi-industry CRM, which perpetually scrubs, audits, and verifies your store data. The result? 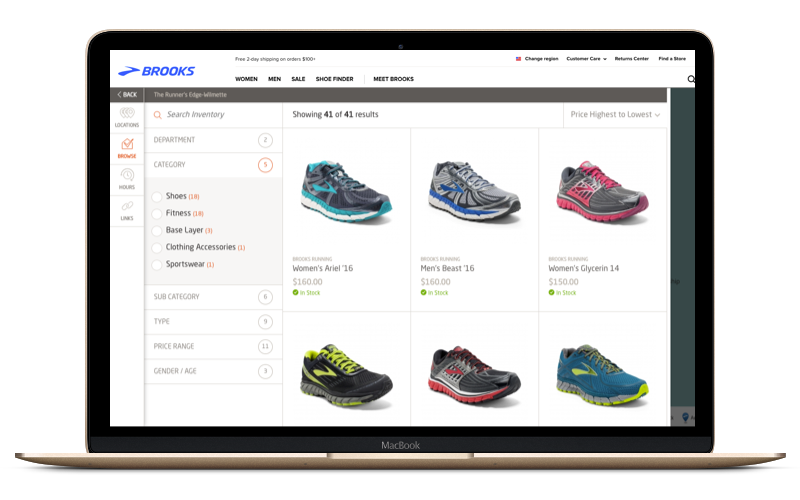 Store data that manages itself, and happy shoppers seeing the most recent, accurate store info possible. Stores manage and enhance their store profile with store hours, links to social media, logos, events, and so much more from their locally.com accounts. Don't refer a shopper to a store. Refer them to the right store. 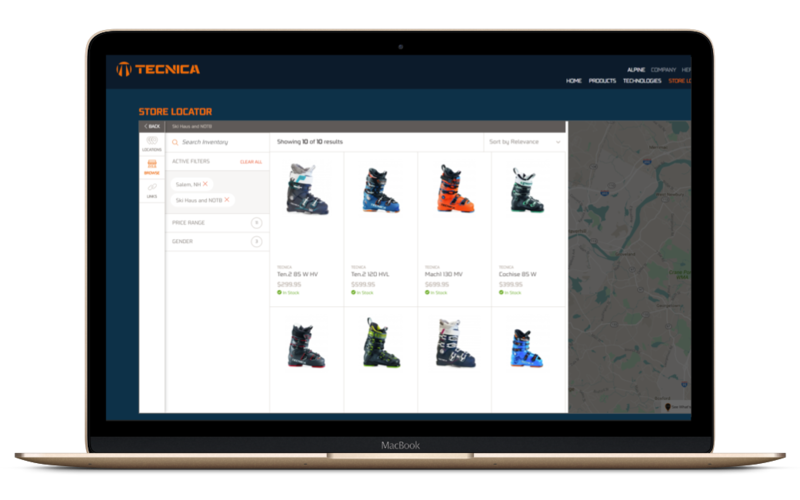 With Locally, any participating store can broadcast their in-stock inventory for your brand on your Store Locator, for free. 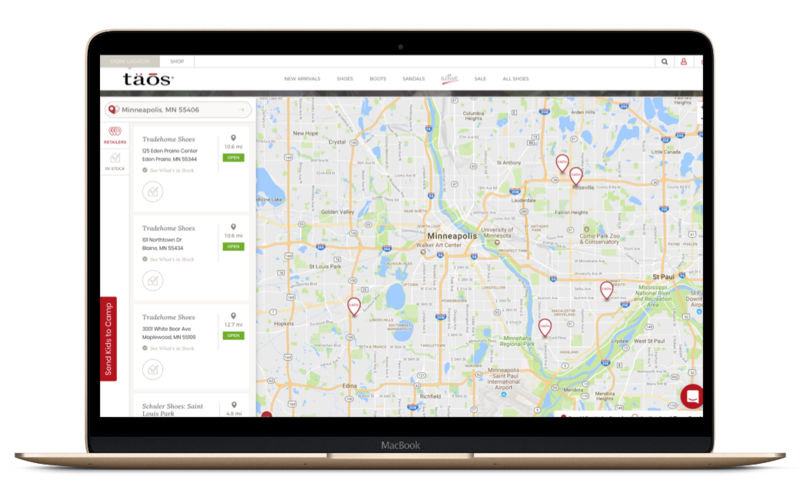 Locally supports inventory for thousands of retailers in 1000 cities in the US and Canada. Participating stores can accept payments or reservations for in-store pickup from your Store Locator, locking shoppers into a purchase of your brand before they even leave their chair. 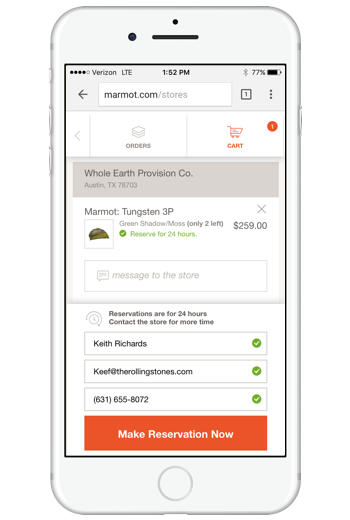 Reserve Online, Pay In Store A simple 24 hour hold request for in-store pickup. Pay Online, Pick Up In Store Lock in a sale before the shopper leaves your site. Local Delivery Coming soon, shops can fulfill orders for local, same-day delivery. 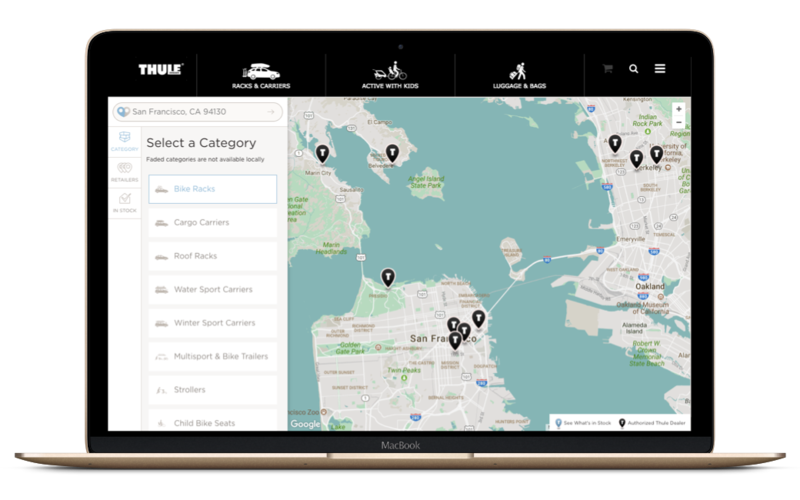 Locally's customization options let you craft your ideal map with store call-outs, categorizations, custom design, biasing, and much more. 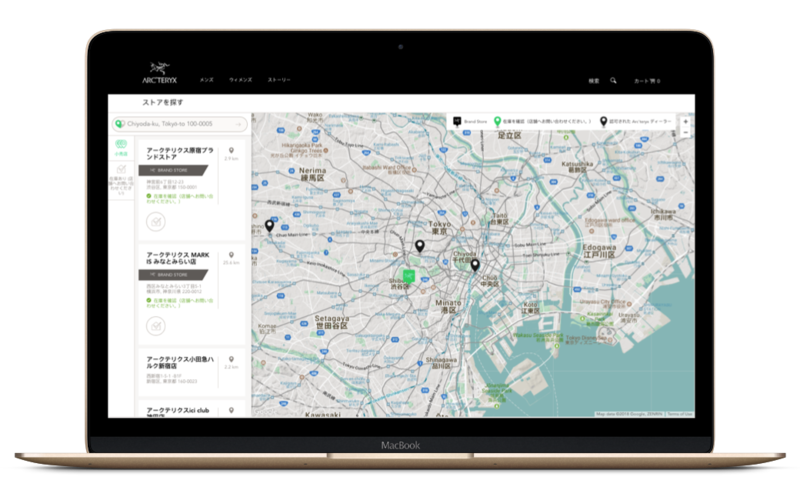 Power a Locally experience, Globally, with an array of options to support stores across the globe. From translations to full-on multi-language/currency inventory support, we do it all. 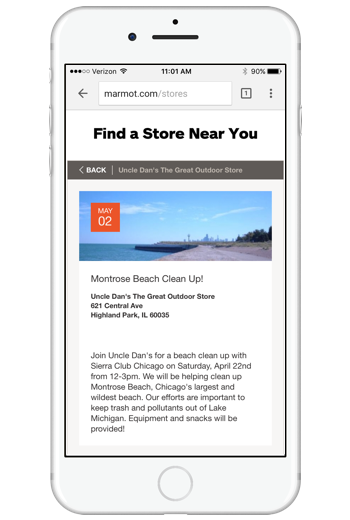 Stores can promote any relevant event, adding rich local content to your site and a new marketing channel for your stores and your brand’s retail marketing teams. 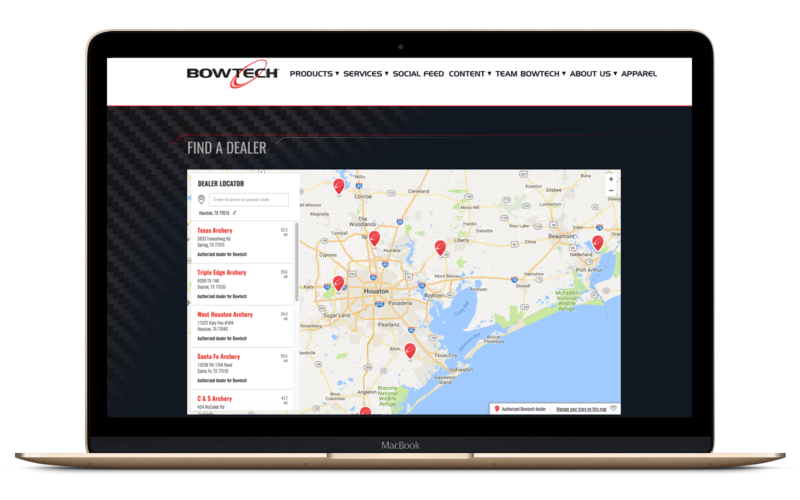 Easily launch additional "Spin-off Store Locators" on standalone pages that are pre-filtered to highlight certain dealers participating in new product launches, in-store campaigns, national events, and more. 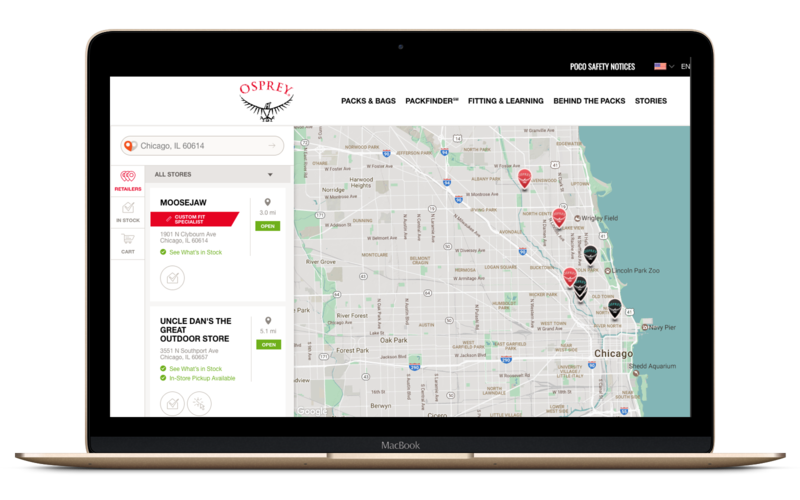 Check out how leading outdoor industry brands use Locally's Store Locator to serve shoppers. 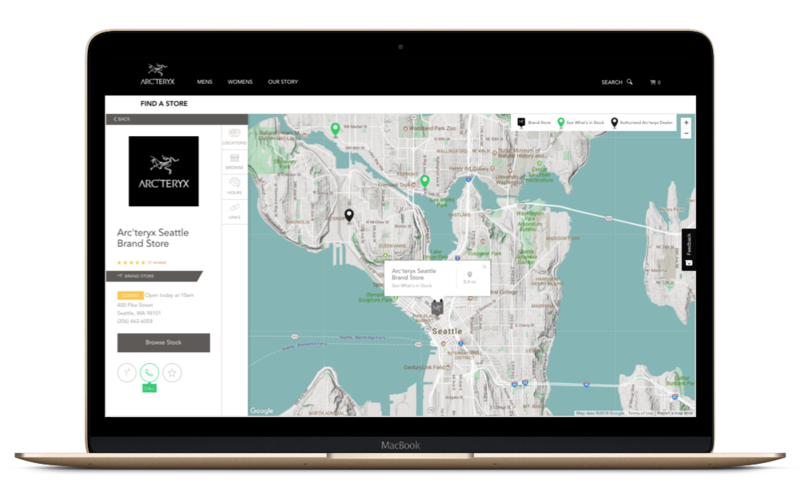 Locally's Store Locator helps leading brands provide runners with the best of online—ease, convenience—and the best of offline—fit, immediate gratification, and expert advice. 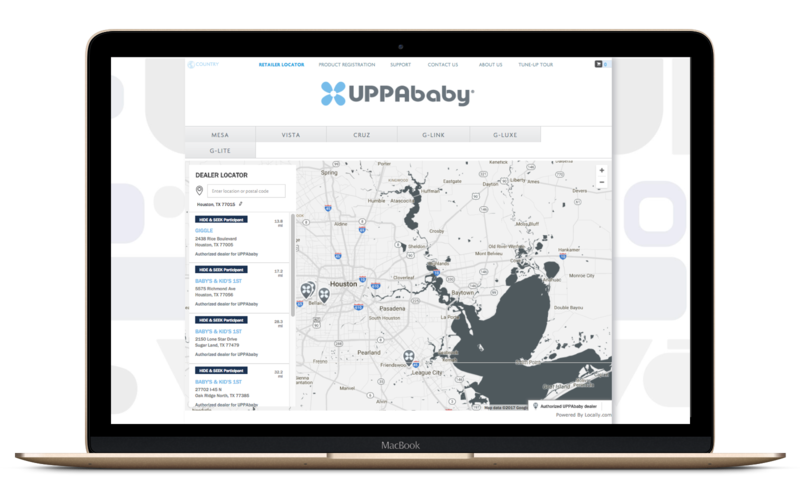 See how some of the top baby and toy brands use Locally's Store Locator. Check out a few of our clients in archery, fishing, boating, and more. We're out of the gate with some of the top brands in one of our fastest growing industries. We're launching some of the best brands in the comfort and family footwear space. We've launched a number of furniture brands with special, advanced customizations. Contact us for more info. 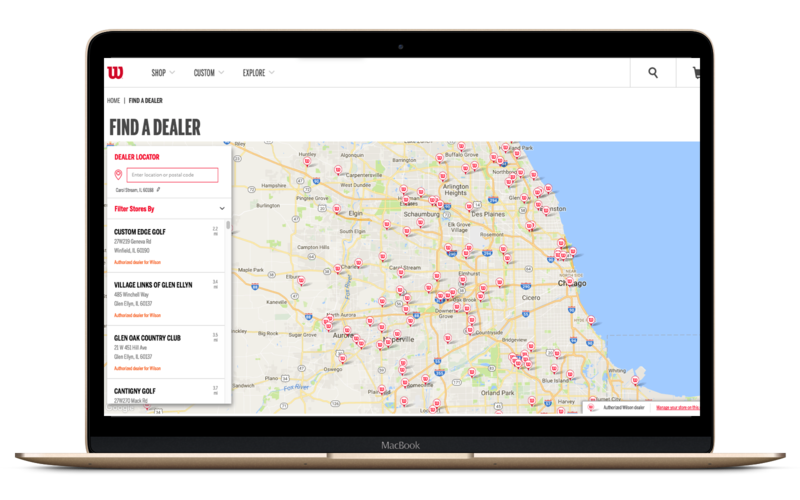 Want to learn more about how Locally's Store Locator can turn shoppers into buyers, all while winning you some retailer love in the process?